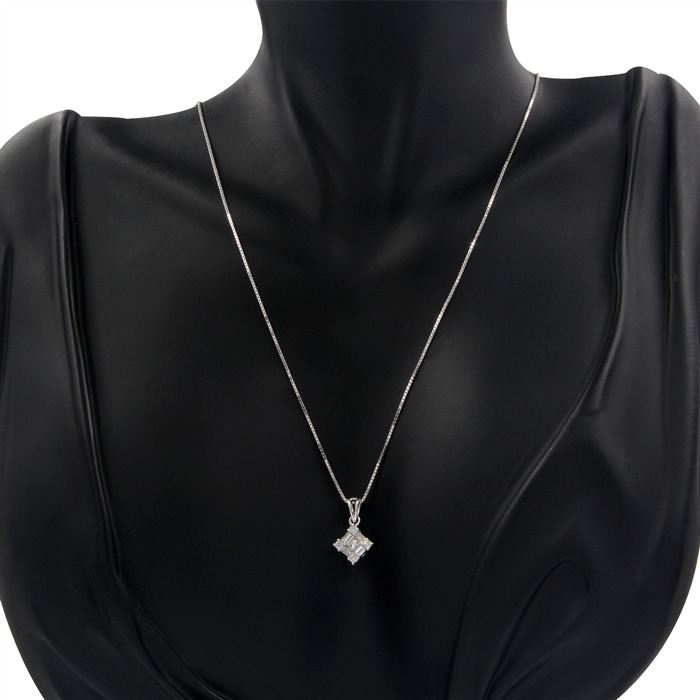 This diamond pendant may be petite in size but packs a lot of style and elegance that's sure to make lasting memories for the wearer. Look closer and you'll appreciate the combination of princess-cut, baguette-cut and round diamonds. 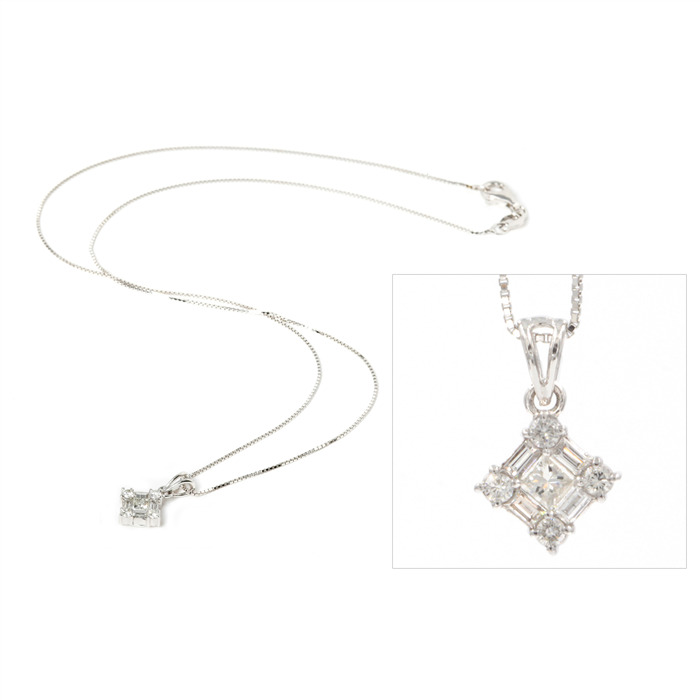 It makes a perfect gift for a first time diamond keepsake and beautiful necklace for the diamond lover.